T-Mobile US complaints number & email. Head Office address: 12920 SE 38th Street Bellevue, WA 98006, United States. Get verified information about T-Mobile US complaints email & Phone number. T-Mobile US provides full complaints handling accessible initially by telephone on 1-800-937-8997. If your complaint cannot be resolved at this stage, a series of steps to take and other contact options are available. You should call T-Mobile US complaints line in the first instance on 1-800-937-8997. If this does not resolve matters, then further steps can be taken. Further information is on the website along with details of alternative contact options such as contact form, email and visiting your local branch. T-Mobile US is a United States-based wireless network operator. T-Mobile is the third largest wireless carrier in the United States. 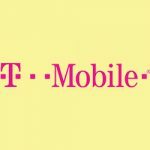 The T-Mobile US provides wireless voice and data services in the United States, Puerto Rico and the U.S. Virgin Islands under the T-Mobile and MetroPCS brands, and also serves as the host network for many mobile virtual network operators. T-Mobile US traces its roots to the 1994 establishment of VoiceStream Wireless PCS as a subsidiary of Western Wireless Corporation. Hopefully, We helped you to get some genuine records for T-Mobile US Complaint information. Use below complaint form to discuss problems you have had with T-Mobile US, or how they have handled your complaints. Initial complaints should be directed to T-Mobile US directly. You can find complaint contact details for T-Mobile US above.